App Marketing Strategies helps to take our app to the top list of app store and drives more app downloads . One of the most challenging moment for a business tycoon is the launching of a new mobile app in the market. The development of an app requires a lot of money and time. And it is regarded as an important step towards the success of business. With these factors in mind, the app marketers enter the battleground of the market and attempt to surprise people with their amazing apps. Besides other facts, one of the fundamental facts is that nowadays marketing is not as simple as it appears. In fact it is becoming more challenging day by day. It is only the proper planning and sustainable strategies that can keep you in the today’s growing competition. It would be ideal to initiate the marketing of new apps at the time of app development only in order to meet timeline and get best results. Strategy planning is crucial and should not be overlooked. Though some tale it in astride and neglect its imperativeness. The significance of strategy planning can be made evident from the fact that if everything is systematic and intricately pre-planned, success is bound to happen. There is no second say that it is quite difficult to simultaneously focus on app marketing strategies and development. In order to make this feasible, some marketers have shared their ideas and experience in the form of strategies. you can adopt these strategies to take your app to the top league in the app store. Target marketing is very important in this scenario. Because we have to reach the target audience. Your app marketing strategies should begin right from the point app development sets in as it ensures movement in right direction. Right from the beginning the manufacturers make it a point to develop a feature-rich, outstanding and user friendly app. Hence if you wish to make your app outshine others on app store, you have to work on the marketing timeline and it would be best to promote the app before its launch in the market. 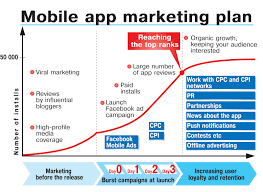 It will also help you build your app marketing base which will proliferate and will climb the peak of app store. Maximum user involvement is considered as one of the paramount ways of taking your app to the top category. You should spread information about your upcoming app to the users at the earliest through social medias. It is because if the users become a part of this process, it will facilitate in improving and increasing the app features by innovative unique ideas. With quality feedback one can judge the app and improve it for making it usable for the end users. By being proactive with the view of the users and create the app accordingly. Promoting a product before its launch through short video advertisements can be a good idea. Because, a video clip comprises of the whole concept of the app, its unique features and UI/UX that immediately catches everyone’s attention. n It therefore becomes an amazing idea to be involved in the marketing of app. So, when the targeted users get a glimpse of your app’s video, it would be extremely beneficial for you venture. This will affect the app download ratio because the users will be attracted by its features. Knowing the taste and preferences of the target audiences is very important for successfully advertising a mobile app. By focusing on this aspect, you can get a fair and exact idea of creating an app. It entirely depends on you to find out how and to what extent you developed mobile app satiates the needs of the customers. While developing an app you have to keep in mind the features that would best satisfy your customers. After assessing and listing your customers’ expectations and needs, the next step would be to recognize the competitors in market. You should analyse and study market trends. This will help you in finding out a similar idea and can clarify your doubts about your app. This strategy will, enable you to incorporate some changes and better alterations that will improvise your app and your app will be in strong position against your competitor’s app. This is surely a better marketing modus operandi and would yield profitable outcome provided it is implemented properly. During this highly competitive atmosphere, it is quite an un-predictive whether your fabulously designed masterpiece would get success or not. Do not worry! There is a solution to this problem. In order to make you upcoming app more demanding and popular. We should issue more press releases highlighting it’s amazing features on famous websites. This strategy will popularize your app and people will read the app’s information. And then target audience or users will eagerly wait for its launch. It is a successful and time-proven marketing strategy. 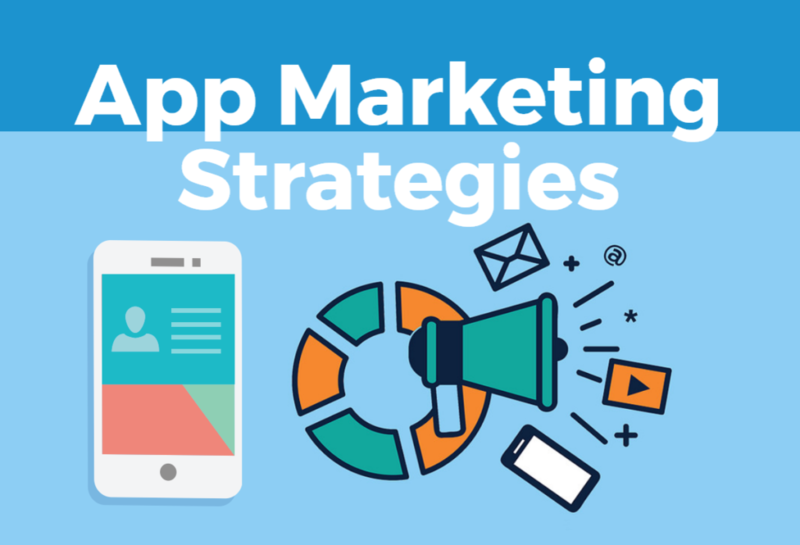 The above mentioned app marketing strategies will surely and successfully help you out in taking your developed app to the top notch in the app store. The listed strategies have proved their usefulness time and again when talking about app launch and are reliable in all respect. By adopting same strategies you can be sure of getting an upper hand over your competitors.